The online and Twitter polls for the finals of “100 Asian Heartthrobs” are ongoing. We are now launching today the third element of the regional contest, the Instagram poll. 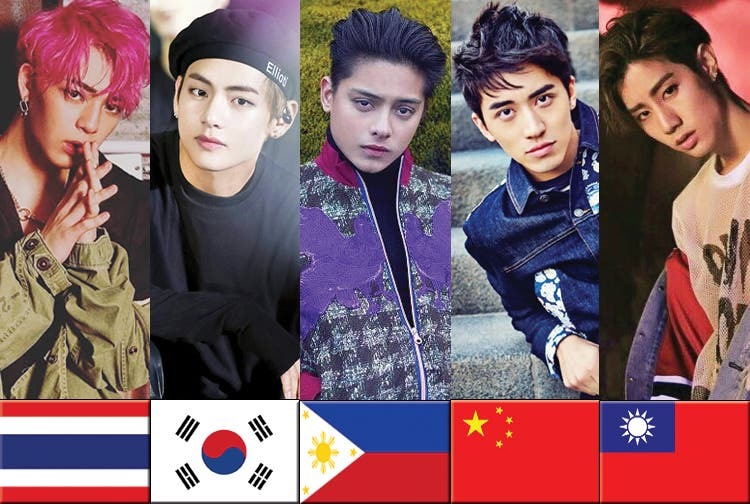 Simply like the official finalist photo of Daniel Padilla (Philippines), Kim Taehyung (South Korea), Suradet Piniwat (Thailand), Mark Tuan (Taiwan), and Timmy Xu (China) in Starmometer’s Instagram account (@starmometer). 1 like is equivalent to 3 votes while 1 comment is equals to 1 vote. This poll will be closed at 11:59AM of June 25, 2018. 26 Comments on Instagram Poll for the Finals of #100AsianHeartthrobs Now Open! i vote for kim taehyung!! !